The Latin name of the Brazilian Wandering Spider is Phoneutria. The animal’s span is about five inches if you include the legs; and, let’s face it, you aren’t likely to see one without legs. Its body is brown, with a darker shade on its abdomen. Its legs are multi-colored, all the colors brown as well. If the Phoneutria bought shoes, it would have no trouble finding a color that coordinated with its body; however, its lack of toes makes the whole idea pretty ludicrous. The spider’s venom is a potent neurotoxin and extremely painful, due to high levels of serotonin. This can be beneficial if you are lost in the South American jungles without your antidepressants: Simple eat a Brazilian wandering spider. If you don’t feel better after one, repeat until the world seems a rosier place. Where do you find these “Prozac of the animal kingdom”? In bunches of bananas, obviously; in fact, many of these arachnids have won free trips to North America, simply by napping in a banana grove. The problem isn’t as large in the United Kingdom, because they haven’t found a way to effectively can bananas. In April 2005, a British chef was bitten by a phoneutria; however, he managed to recover quickly and, within a week, he was back at work, boiling most of the flavor out of meats and vegetables. The spider was released onto the grounds of the hospital, where it could freeze to death humanely. Certainly, if you see ANY spider in a bunch of bananas, do not try to reason with it. Gently encourage the animal to become a fine pulp, using the heel of your shoe. If you wondered what the web of the phoneutria looks like, you don’t know phoneutria. These spiders don’t spin webs, relying instead upon hunting. 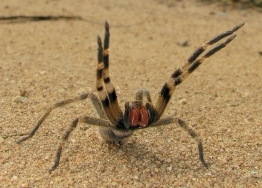 The Brazilian wandering spider WANDERS the floor of the Amazon jungle, in search of food and trouble; hence the component of “Brazilian” in the phoneutria’s name. I don’t know where the “wandering” part comes from, but I suspect that it was the name of the animal’s discoverer. Phoneutria is very fast, compared to its prey; however, they are far slower than bovines, deer and even four-cylinder economy cars. 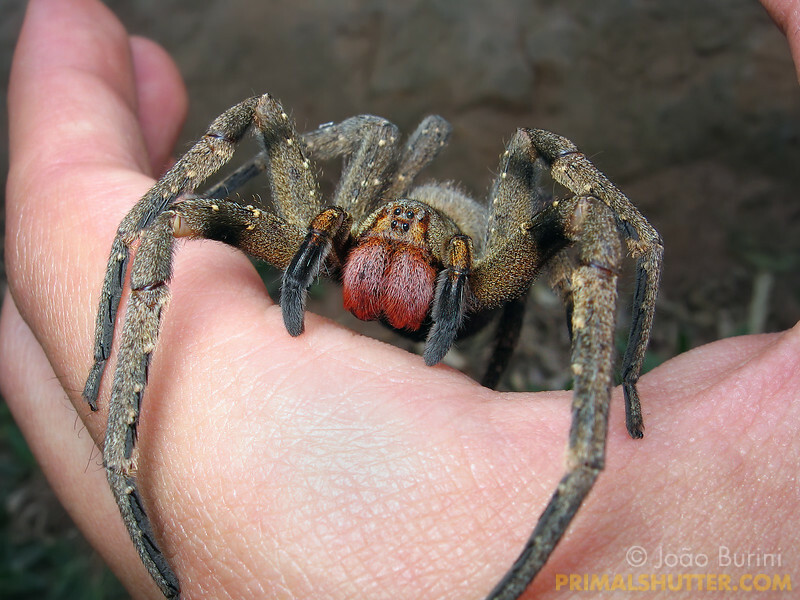 The Brazilian wandering spider tends to eat crickets, mice and lizards—although seldom mixed together in a large bowl.